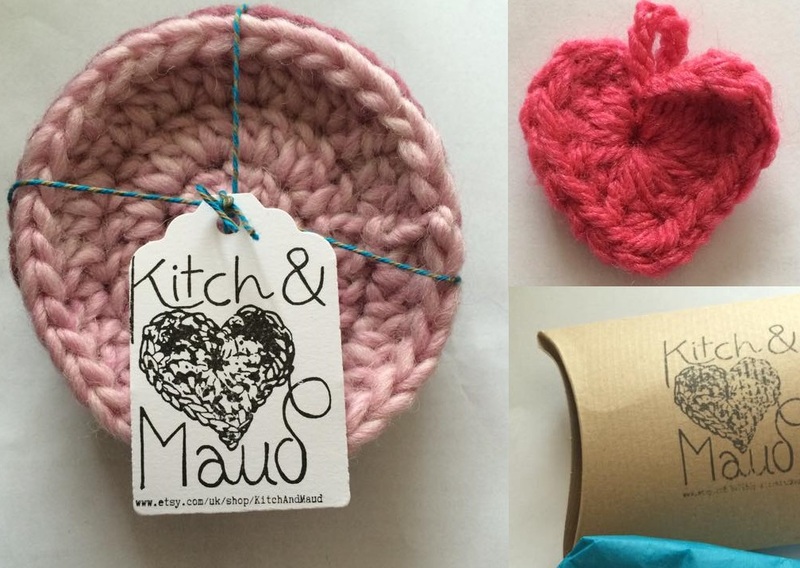 I received my beautiful order from Kitch and Maud today and I am incredibly pleased with everything. One item in particular really blew me away and I'm sure you will see why.. The first thing that I saw when I opened my package was this cute crochet rose brooch. This is really lovely and it will look fab on a plain jacket or maybe just on display in my home somewhere as I am definitely a lover of florals. The brooch itself is a nice size and it's very substantial feeling. The next thing that I pulled out was a pack of pastel crochet coasters. These are beautiful and very thick so they will definitely do the job. 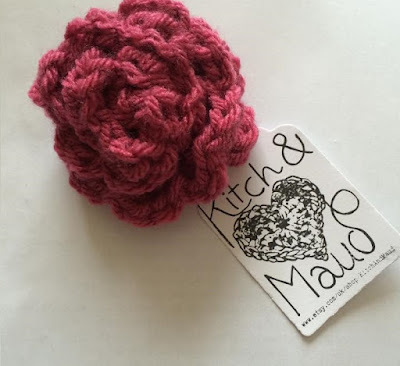 The coasters come in a pack of 4 and are made from lovely chunky wool. The colours are pink, baby pink, lilac and mint. There was a cute little pink crochet heart packaged up with these which will look cute in my home somewhere. And here's my favourite item! 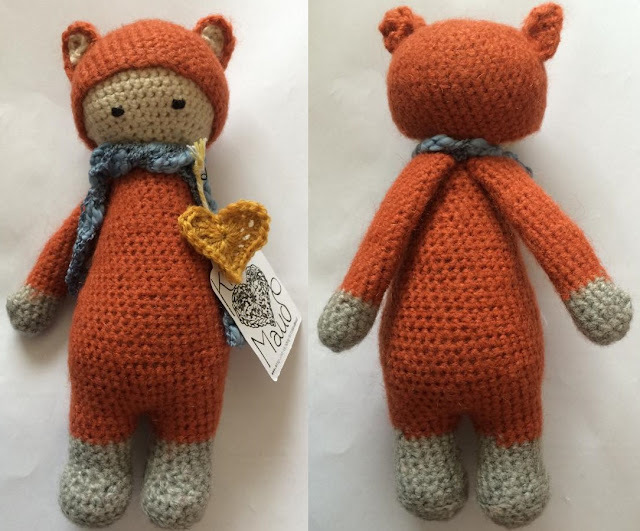 This is a mini Lalylala Doll which I am familiar with as I have seen them before on the internet and I've always thought that they were super adorable. Well this is a little fox one! Despite being advertised as mini, she's not too small at 7 inches tall. She's very solid feeling, for some reason I thought she'd be floppy but she isn't - which is great as it means that she can be displayed easily. I really really love her, I literally hugged her for about 30 minutes solid once I'd opened her up. Her little scarf is precious and she really is just perfect. Kitch and Maud also make larger Lalylala dolls and one is a bunny design.. so precious! Definitely check out Kitch and Maud on Etsy, her work is beautiful and I am incredibly pleased with everything that I received. Also be sure to follow her on Instagram and like her Facebook page.